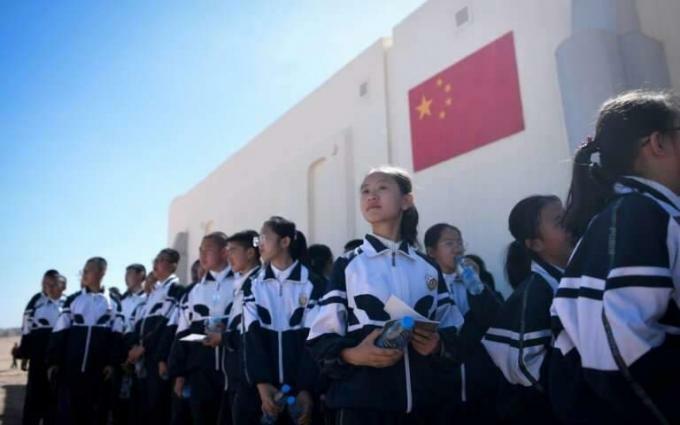 Jinchang, China, (UrduPoint / Pakistan Point News - APP - 17th Apr, 2019 ) :A Mars base simulator sits in the middle of nowhere in China's Gobi desert, but instead of housing astronauts training to live on the Red Planet, the facility is full of teenagers. Surrounded by barren hills in northwest Gansu province, "Mars Base 1" opened to the public on Wednesday with the aim of exposing teens -- and soon tourists -- to what life could be like on the planet. The teenagers don spacesuits and go on treks in the desert, where they can explore caves in the martian-like landscape. The closest town is Jinchang, some 40 kilometres (25 miles) away. The company behind the project, C-Space, plans to open the base -- currently an educational facility -- to tourists in the next year.